Thank you, this is an interesting study. 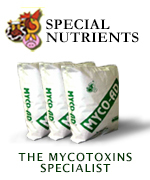 Please tell me how many doses of mycotoxin/Aspergillus spp. in the dead birds (sample)? Would you like to discuss about this topic: Case Report: Prevalence and significance of aspergellosis in commercial broiler chicken: Pathological study?